Lifestyle property on luxury security estates in Paarl, Western Cape, SA. The Lifestyle property on estates offer security and a unique way of life. Find lifestyle property on many private estates in Paarl and Wellington. Lifestyle property which offer security, luxury property and a lifestyle unique to each estate. Some of the many esteemed residential estates which include the enchanting, Golf & Country Estate, stately Wine Estate and the vivacious Polo Estate. In Paarl, Boschenmeer being the signature golf estate. Established on the R301. Situated between the Boland towns of Paarl and Franschhoek. On the Boschenmeer Estate you will find single and double storey lifestyle property for sale. 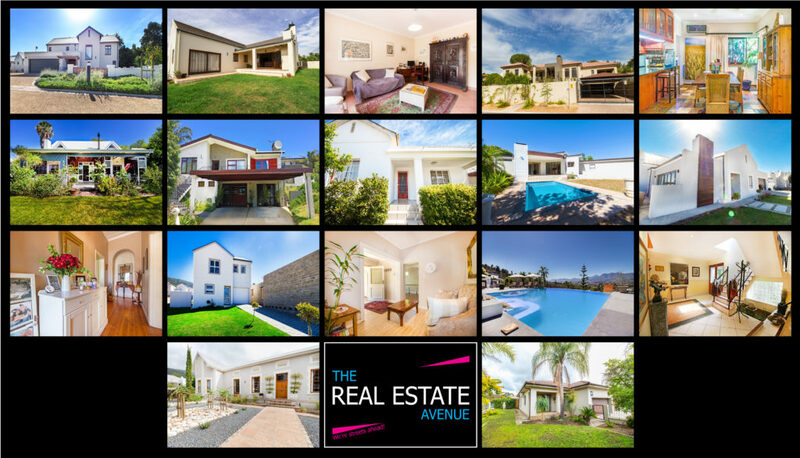 Tuscan-style townhouses and a selection of the finest luxury Paarl lifestyle property can be found and some for sale. Most of the Lifestyle properties face the David Frost designed golf course. A truly beautiful sight to behold. With ponds and waterways, tall lush trees, and manicured hedges and private gardens. When you visit or live on this Estate you will be amazed by the views which is magnificent from a Boschenmeer home. Luxury Paarl Golf Estate’s beauty and uniqueness is further accentuated by the surrounding Klein Drakenstein mountains as well as an abundant indigenous bird life. The Paarl Golf Club and the privately owned Boschenmeer Golf Academy are found on the Boschenmeer Estate, too. Pearl Valley Golf Estate is located between Paarl and Franschhoek, in the Cape Winelands. This Golf Lifestyle Estate which was voted, third best golf course in South Africa. Pearl Valley in Paarl is a luxury private golf lifestyle estate with residential lifestyle properties and golf lodges. When visiting the Winelands of South Africa you can visit the attractions in Pearl Valley. Namely its golfing attraction which Pearl Valley is famous for, as well as its spa and Valley Restaurant. Pearl Valley offers its residents and their property 24 hour round-the-clock security. Val De Vie Estate is a gentleman’s polo and wine estate found outside Paarl, in the Cape Winelands. The private gated community offers a wide selection of lifestyle properties to choose from. It offers you security for you and your property 24 hours a day. The natural surroundings the lifestyle estate offers, compliments all the luxurious homes. Val de Vie Lifestyle property include plot and plan homes, vacant plots and existing property in the French Provincial style of architecture. The style was the influence of the French Huguenots. On this estate you will find the prestigious polo club and polo school. The Paarl lifestyle estate produces Cinsaut, Carignan, Grenache Noir/Blanc, Mourvèdre, Shiraz, Viognier and Clairette Blanche wines. Visiting Diemersfontein, you will find that it was established on a 183 ha farm and is found at the foot of the fynbos-rich area of the Du Toitskloof and Hawekwa mountains. With its Cape Vernacular style homes for sale. Greater Diemersfontein and The Diemersfontein Village offer country living on a working wine farm. With security for you, your family and your property 24 hours a day. Tall trees, manicured vineyards, and paved roads that weave through the estate (showcasing some of the fantastic views of the Wellington lifestyle property) are all part of the appeal of this secure country lifestyle estate. Facing the west, the views of the estate are, for lack of a better term, beautiful. This award-winning wine estate produces some of the most fine wines namely Roobernet, Barbera, Pinotage and Shiraz. The Wellington Prep School, a private school, is located directly on Diemersfontein. Onverwacht Wine Estate, on the edge of Wellington, almost at the foot of Groenberg, was established on a farm founded in 1782. This lifestyle farm with beautiful mountain views embraces its Cape Dutch heritage with the use of white plaster walls and thatch roofs. With neighbouring vineyards, peace and tranquillity are a part of life here. Find Wellington lifestyle property.